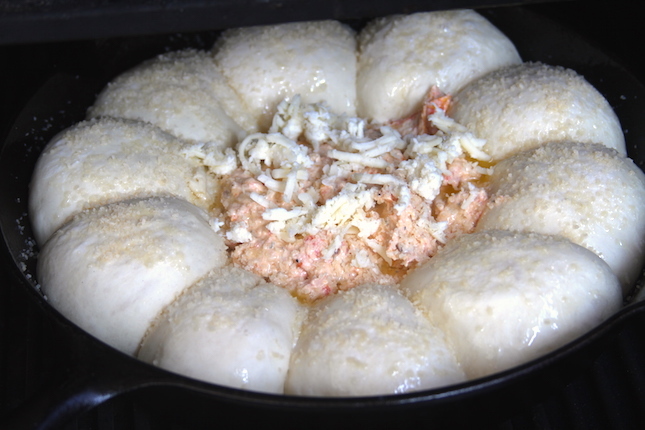 Place the frozen dinner rolls around the perimeter of a greased Lodge Logic 12” Cast Iron Skillet. 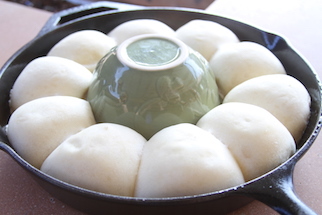 Place a bowl in the center to prevent the rolls from proofing inward. 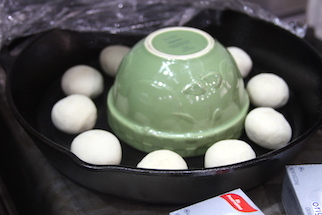 Use pan spray on the outside of the bowl to prevent the rolls from sticking. Cover with plastic wrap and proof until rolls have doubled in size (time depends on temperature in your kitchen). Preheat your Yoder Smokers YS640 to 400ºF. Place the halved tomatoes in a small bowl. Toss the tomatoes in one tablespoon of olive oil and one teaspoon of kosher salt. 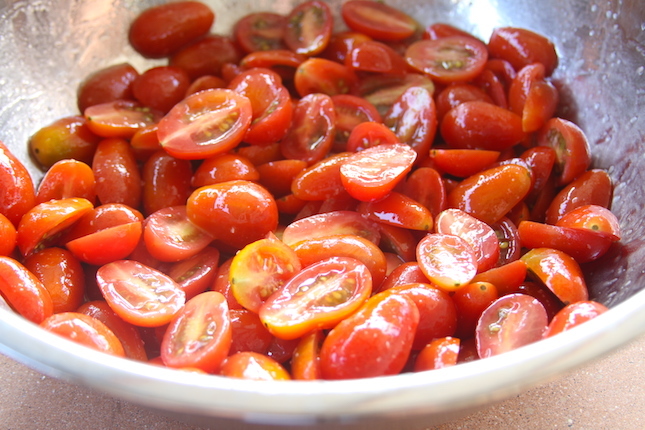 Transfer tomatoes to a parchment (or foil) lined baking sheet and roast for about 25 minutes. Set aside. While tomatoes are roasting, combine the cream cheese, garlic, cooked bacon, Cattleman’s Italiano, Horsetooth Hot Sauce Rubin’s Red, 1/4 cup parmesan and 7 oz each of mozzarella and provolone. Mix well. Add the cooked tomatoes. Place the mixture in the center of the ring of proofed dinner rolls and spread out to cover the area. 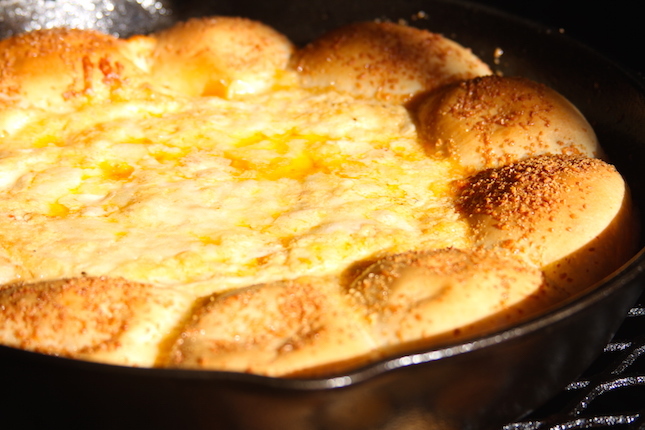 Top the dip with the remaining mozzarella and provolone. Brush the tops of the rolls with melted butter. Sprinkle the reserved parmesan over the entire dish. Bake for 25-30 minutes, or until top is golden and bubbly.